The New England Coast, stretching from Long Island Sound in the south to Maine in the northeast, offers many opportunities for memorable sailing adventures. The founding shore of America; New England and New York have a unique heritage feel. The ‘Old Country’ nature of this cruising destination will see you exploring picturesque islands, coves and quaint cobblestoned villages. 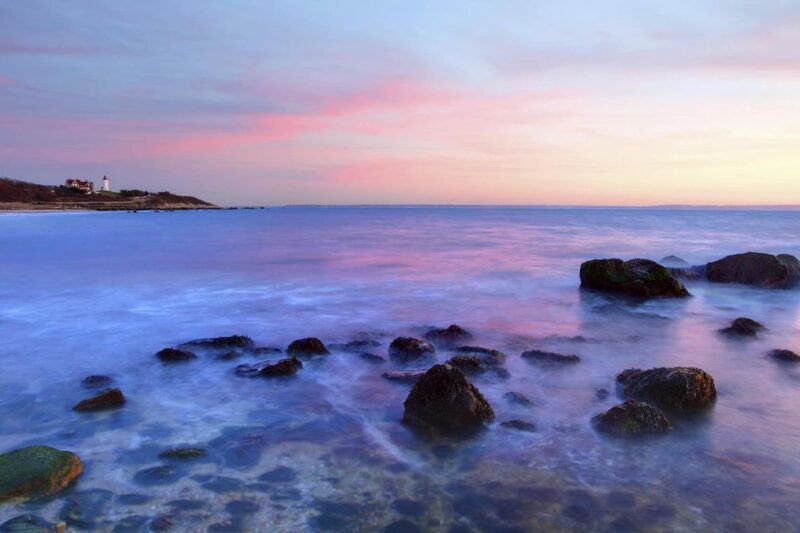 The Northeast coast offers opportunities to wine, dine and unwind in a charming colonial environment. 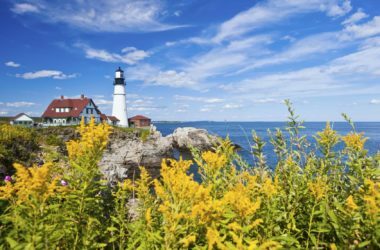 Lined with white sand beaches and rolling sand dunes which give way to rock outcrops and pine forests heading further north, and dotted throughout with beautiful historic light houses, New England has plenty to offer. Cool New England waters are teeming with a top shelf array of seafood: scallops, clams, mussels and oysters, as well as beautiful Maine Lobster, Halibut and Codfish. New England, in climate and weather conditions, can show huge variation. Summer is extremely hot and humid, peaking around August. This is ideal if you are looking to swim, kayak and explore the beaches, or for a family friendly adventure. 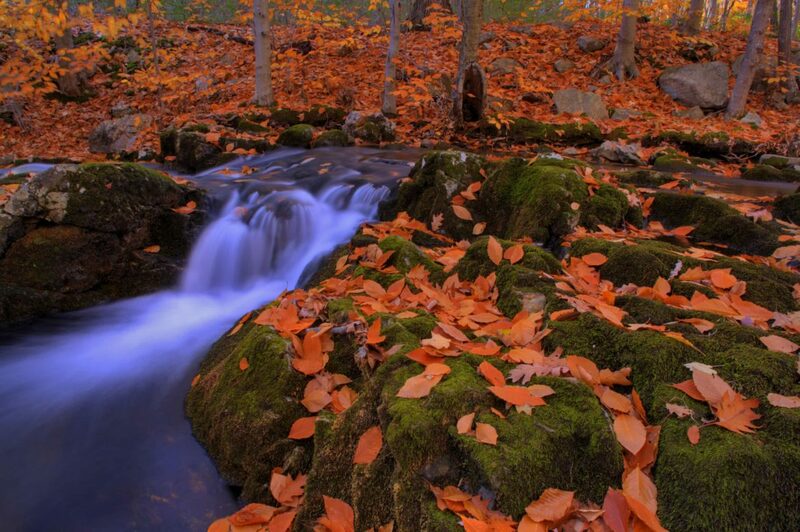 However, New England comes alive in fall, pumping up the romance and scenery. Autumn tours are breathtaking, with the fall foliage in its full splendour: orange, yellow, scarlet and gold enveloping the coast, making for a scenic cruise of a life time. 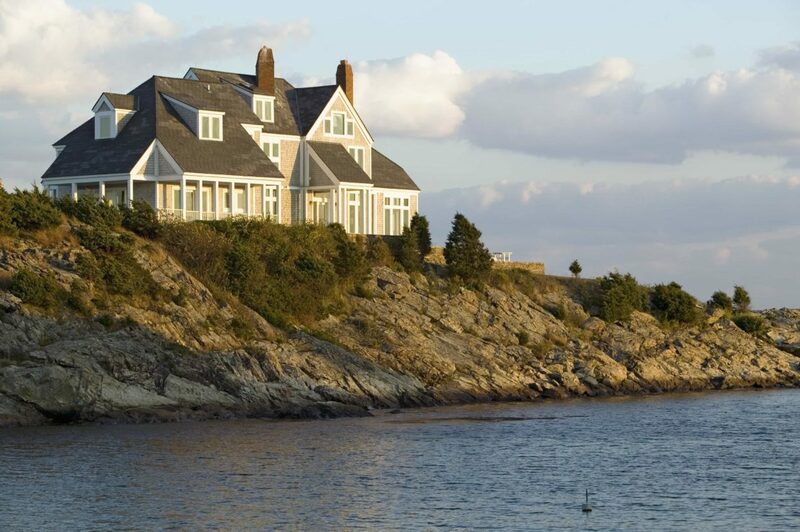 One of the must see attractions are the mansions lining the shores of Newport, Rhode Island, ‘The City by the Sea’. These homes, once country cottages to the affluent New Yorkers of the Post Civil War era, are impressive, all set on majestic grounds, sure to impress. Explore these majestic manor houses from the water or by foot; a beautiful way to spend an autumn afternoon. While not technically part of the "New England" coast, you can't come this far and not stop by New York City! There is nothing else on earth like cruising along the Hudson on a superyacht, passing by the Statue of Liberty, and docking your yacht under Manhattan’s skyscrapers. 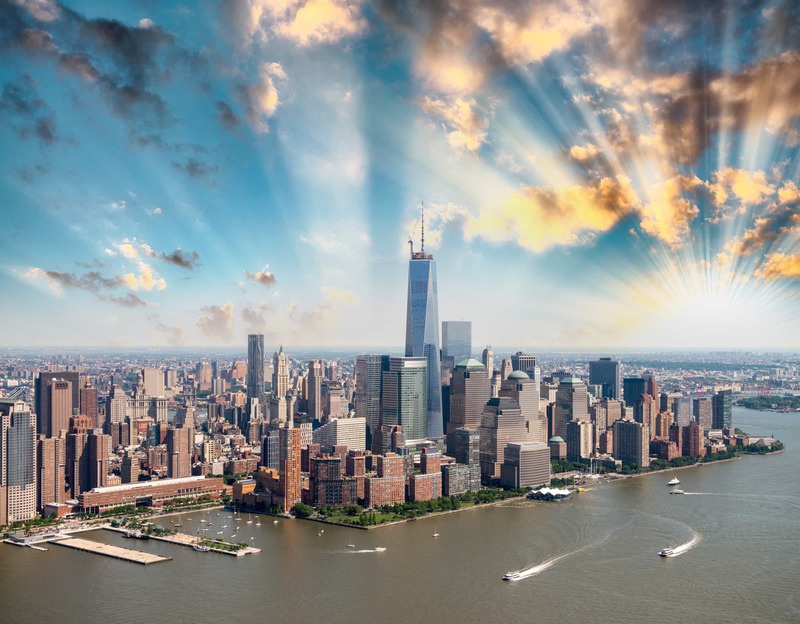 As far as once-in-a-lifetime experiences go, approaching New York by water is enough to give you goosebumps. On a New York City yacht charter you can take in a Broadway Show in Times Square, or watch the Mets take on the Yankees at iconic Yankee Stadium. You might want to see the New York Knicks at Madison Square Garden, wander through Central Park on a sunny day, or see the huge metropolis spread out below you from the observation deck of the Empire State Building. For the culturally inclined, a concert at Carnegie Hall is simply a must, while New York’s museums and art galleries are world-beaters, whether the Guggenheim, the Met, or the American Museum of Natural History. New York is the ultimate luxury destination, with ultra-high end shopping along Fifth Avenue, glamorous day spas, and some of the best restaurants on earth. After you’ve had your fill of city excitement, your private yacht is the perfect place to retreat from the buzz and crowds of the Big Apple. 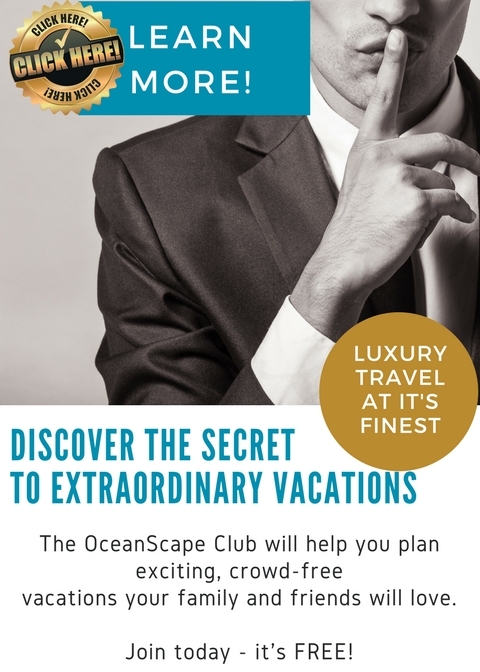 The Hamptons, one of the world’s most exclusive yachting playgrounds, is within a day’s cruise, with the stunning lighthouses, forests and beaches of New England also within reach. Hyannis, the hub of the marine community, should also be on your to-do list, the ‘Capital of the Cape’ is a beautiful sailing destination, the natural harbour full of islands to explore. Venture down the historic main street, then to the West Beach Club or the Hyannis Port Yacht Club; the humming marine centre of Hyannis, Cape Cod’s yachting hub. 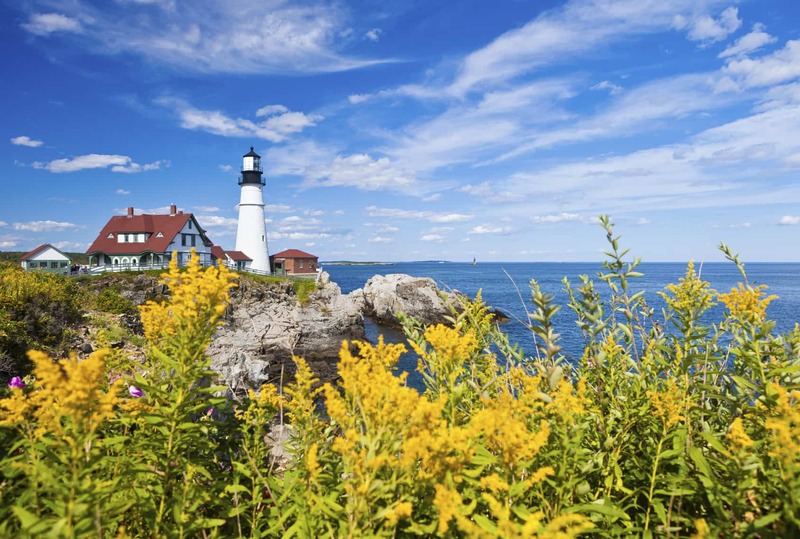 Portland, another onshore destination, the southern sea town of Maine, is an artist’s haven, littered with galleries and eateries and quirky boutiques. The old port is a seamlessly revitalized warehouse district, running down to the waterfront which boasts top-end retail, fine dining and entertainment galore. With a multitude of deep sea anchorage spots and charming attractions to boot, New England offers a uniquely serene summer sailing destination, not to be missed. Home to many boat shows, regattas, festivals and the maritime museum, New England is paradise for keen sailors. Add the priceless historic setting, the beautiful dining, boutique shopping, art galleries galore and cruising adventures and New England really is the trip of a life time. That most famous of New England summer resorts, Newport is a must-see for its colonial mansions. With one of the highest concentrations of colonial buildings in the US, this is the spot to wind back to a slower time as you soak up the best of old-world charm. From Newport it’s an easy cruise to Martha’s Vineyard, where you’ll be tempted by the opportunity to swim at any one of the beautiful sandy beaches, and be pulled into this laidback spot’s summer pace. Once you’ve had your fill of summer, Vineyard-style, your captain will set a heading for Boston where your holiday pace will lift. 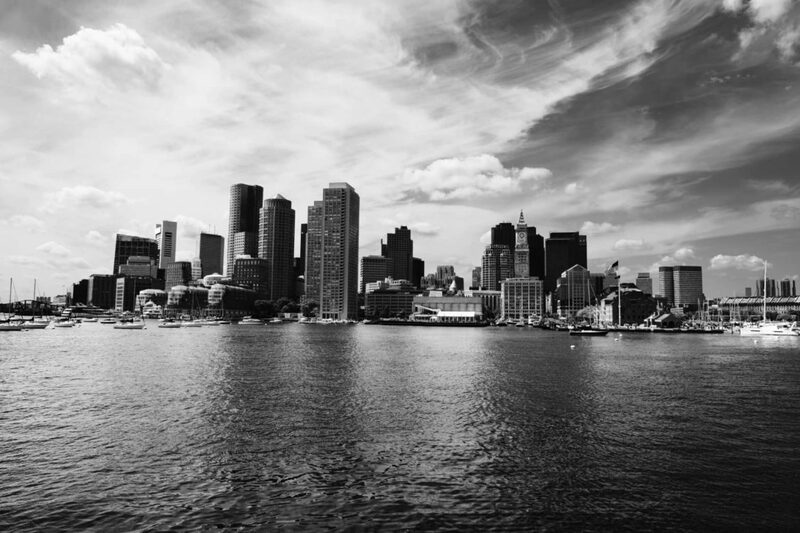 Boston - home to those accents, incredible dining, a thriving city centre with old world charm and the Red Sox of course, is the perfect city break, within a break. And with plenty of home games scattered throughout June, July and August, there couldn’t be a better time to be in town. 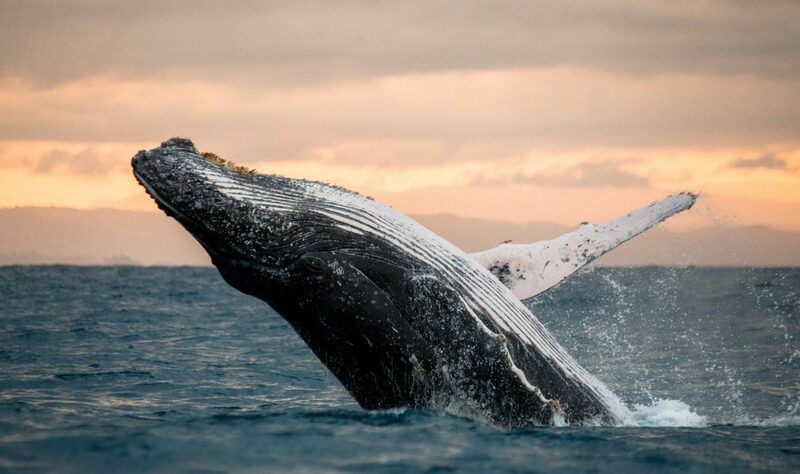 One of the highlights of the whole coast, of course, is the chance to whale watch. Keep your eyes peeled as you cruise from one beautiful spot to the next, for the finback whales, humpbacks, minke, pilot and false killer whales calling these waters home in July and August.